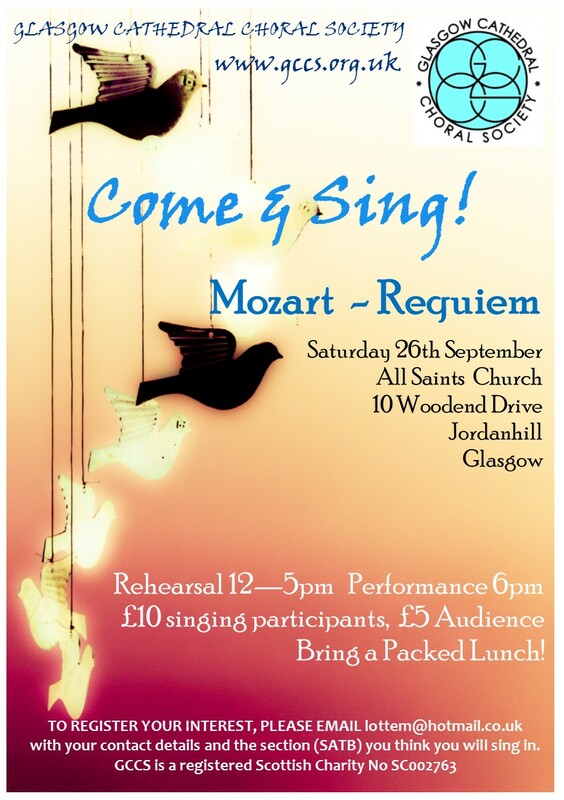 It seems a bit mean spirited to start this blog by telling everybody about an event that they won’t be able to go to, because it’s already taken place – but our Come & Sing, which we held at All Saints Episcopal Church in Jordanhill on Saturday the 26th of September 2015, was great fun and deserves a mention! For anyone unfamiliar with the concept of “Come & Sing”, the idea is to pick a piece of choral music, bring together singers (experienced choir singers as well as those that usually only sing in the bathroom) for a day of rehearsal and perform the piece to an audience by the evening. Sounds impossible? Far from it! 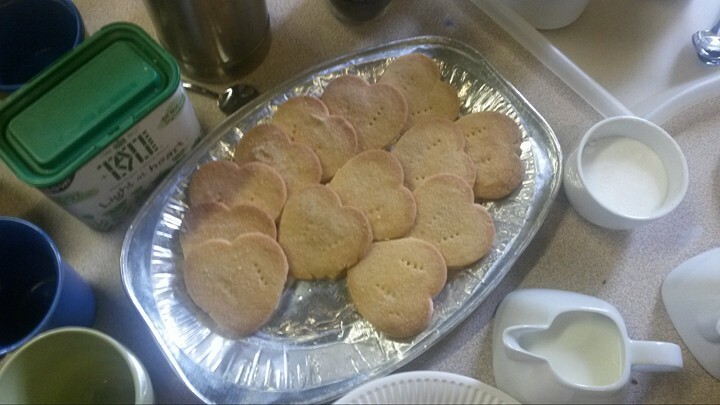 Rumours of home baking had circulated since we started our regular rehearsals on the 17th, and right enough, by the time our event started at 12.00 an abundance of cakes, buns, fruit slices and shortbread was in evidence in the church hall, ready for tea break, which was very kindly managed by members of the congregation of All Saints. As any choir singer knows, tea breaks are of the utmost importance, so I’ll take this opportunity to thank the tea squad for their sterling effort! Bolstered by the prospect of tea and cakes in the near future, our group tackled the first rehearsal, led by James in his usual energetic manner (somewhat augmented by caffeine) and accompanied by Ed, our stalwart rehearsal accompanist, on the fairy-light adorned piano supplied by Glasgow Piano City. But – warm up first! A number of exercises that are well-known to GCCS members (trap doors and inquisitive bumblebees, anyone?) was topped off by an excursion to Jo, who works in a button factory and finds himself operating said buttons with a variety of body parts. We halted this experiment when both health & safety as well as common decency demanded it. When we started working on the Mozart, it became clear that we had struck gold with out guest singers – a number of them was familiar with the piece, so those that weren’t had a strong support they could lean on. An hour and a half of rehearsal just flew by, allowing us to finally get our hands on those fabulous baked goods! We also used the opportunity of the tea break to get to know our guests a bit better by means of merciless interroga… No. Wrong – we had a very nice chat over a cuppa, as you do. 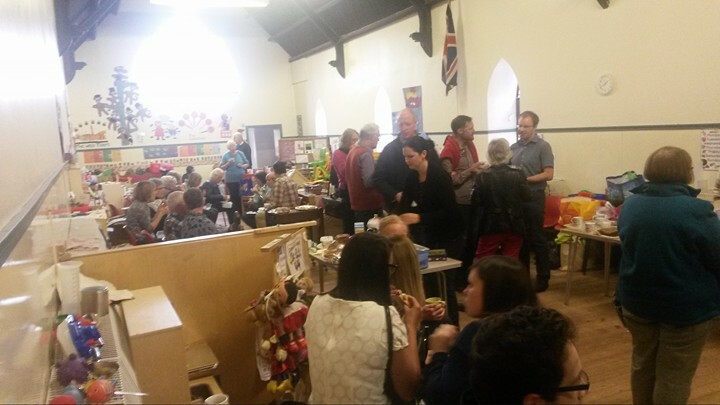 The second round of rehearsals filled in all the gaps of pieces we hadn’t sung through yet, and at the end, while more tea was had by the choir, our lovely soloists had a chance to sing through their sections. So, here they are: Myrna Tennant – Soprano, Ellen Mawhinny – Contralto, Ian McBain – Tenor, and James Corrigan – Bass. 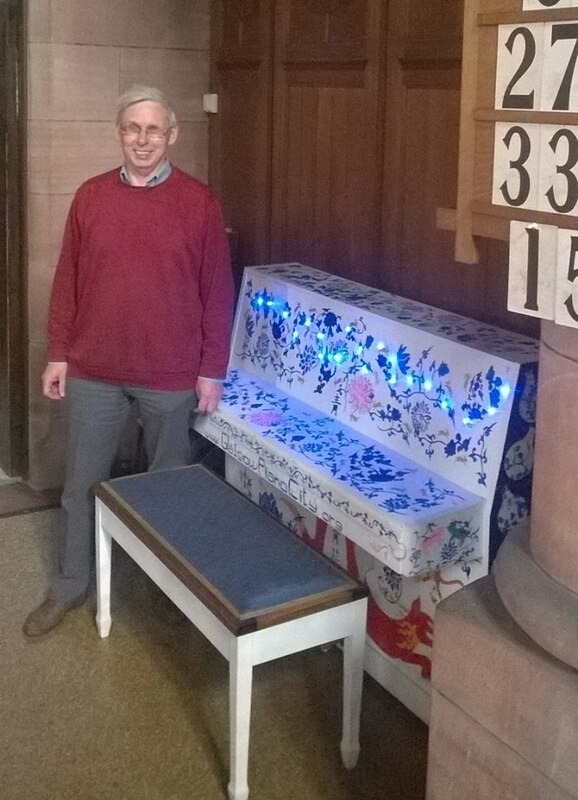 At 18.00, an audience had found their way to the venue and found themselves seated between the choir stalls at the front, where they probably expected the choir to be – however our group was so large that we had to use the pews! The concert also included a quick dash to the organ bench for James, since the “Tuba mirum” really demanded the trombone stop to be deployed! Obviously, I’m the wrong person to judge how we sounded – I’m totally biased and I was standing in the middle of the alto section (and we all know that the altos are always the best section!) …. but I think we did rather well. Maybe an audience member would like to confirm that impression – or put me to rights. The comment section is all yours! We hope our guest singers enjoyed the day as much as we did and we’d be delighted to encounter some of you at our next rehearsal on Thursday (19.30) at Woodlands Methodist Church. < Previous There’s a new choir on the blog!